What can be benefited from potatoes? In a significant development, an American named Chris Voigt who consumed only potatoes for two months, claims that the vegetable is healthier & rich in nutrition. He also claims that Potatoes also help eliminating stones in the stomach. This 45-year-old American is the chief of the Washington State Potato Commission. He went on experimenting the richness & merits of having potatoes in food after the US Department of Agriculture came with a new lunch menu for schools replacing potatoes with other vegetables. He challenged their analysis & ate only potatoes for two months. He had 14 stones, but he lost those a half, minimized sugar level & his cholesterol dropped by more than one third. Voigt was suffering from high cholesterol for four or five years & by eating potatoes, it helped him to get out of the pain without side effects. He claimed that potatoes worked tremendously & he is feeling great with lots of energy. He said that he was consuming 400lbs of potatoes as boiled, mashed, sliced, fried & roasted. 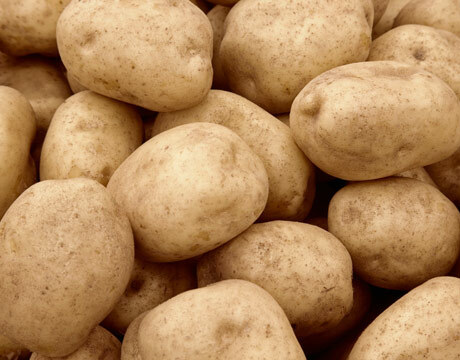 Also claims that potatoes 've more potassium than bananas & can be best substitute to Vitamin C. However, he said that he lacked fat-soluble vitamins such as Vitamins A & E during eating potatoes. After two months, he still loves potatoes in his meal & revealed the goodness of the vegetable.